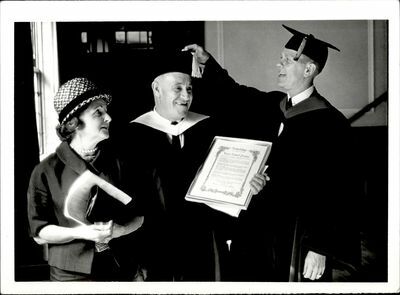 "Louis Robert Perini (3 of 4), Commencement ca. 1950s - 60s"
Louis Robert Perini and his wife stand together with Lesley College President Don A. Orton. Read more in the Lesley Review (Winter 1963).